This hotel truly offers one of the most surreal and novel experiences one can have. 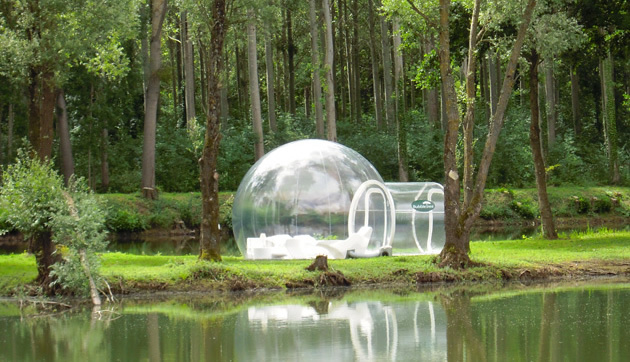 They have rooms in the form of large, transparent bubbles in various locations across France. The bubbles are completely eco-friendly. 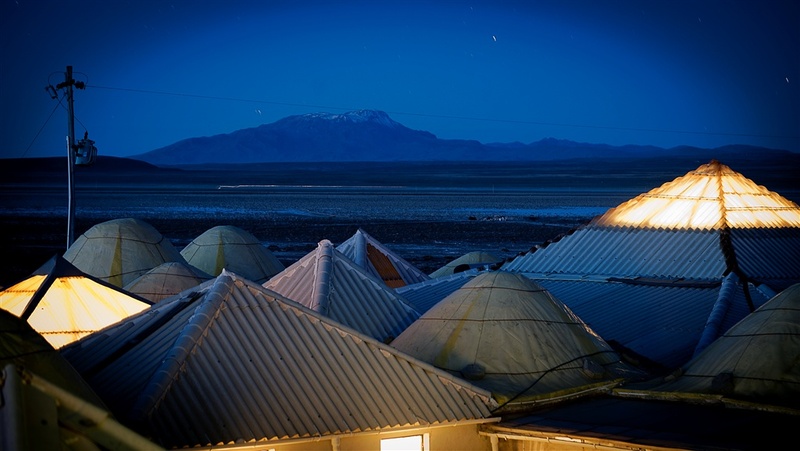 You can sleep amid nature and under the stars, with all the comforts of a hotel room. Especially recommended for special days like anniversaries, birthdays and proposals. One of the crazier places on our list, described by the website as ‘a habitable work of art in the heart of Berlin’, this lodge is more museum, less hotel. 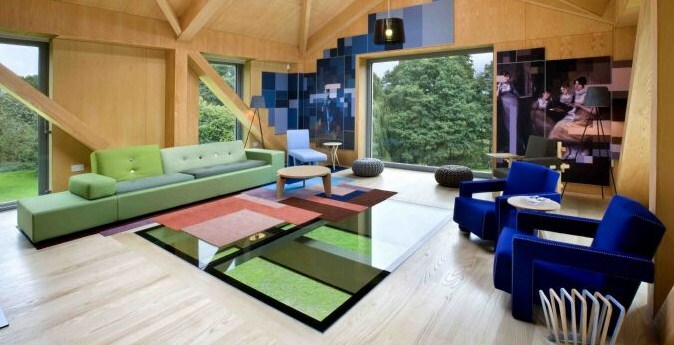 Created by the German artist Lars Stroschen, every room is a different work of art. There is a crypt room where the beds are coffins, a room with a ‘flying’ bed, a mirror room in the shape of a diamond and completely lined with angled mirrors, a friendly prison cell themed room called Freedom, and a room with lion cages as beds. Definitely for those who perceive the world a little differently, and not for the faint-hearted. Designed by architects MVRDV, this barn is a great example of contemporary architecture. The structure has been built such that half of it balances off the edge of the landscape. The space that hangs above the ground has a glass floor and the entire structure has tall windows with gorgeous views of the English countryside. Even the furnishings inside are modern, luxurious and comfortable. Head here for some much-needed tranquillity amid nature. The name means ‘palace of salt’ in Spanish and the hotel literally is made entirely of salt blocks. 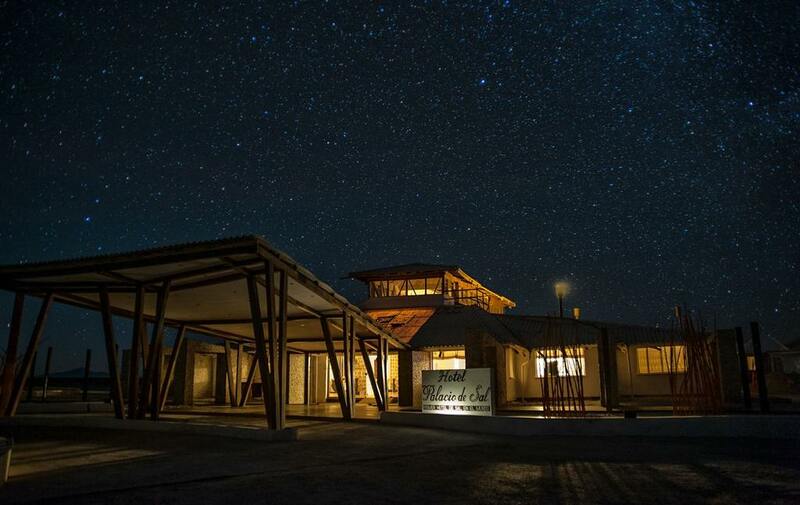 Located at the edge of the world’s largest salt flat, Salar de Uyuni, every part of this hotel from the walls and floor to furniture and sculptures is made of salt. Don’t forget to try the signature dish at their restaurant – Salt Chicken. For a unique safari experience, head to this luxury lodge in Nairobi. Apart from the elegantly done 1930’s style manor, the true USP of this place is the herd of giraffe that reside in the property’s surrounding garden and forest. It’s not uncommon for the giraffe to poke their heads through the windows hoping for a treat. 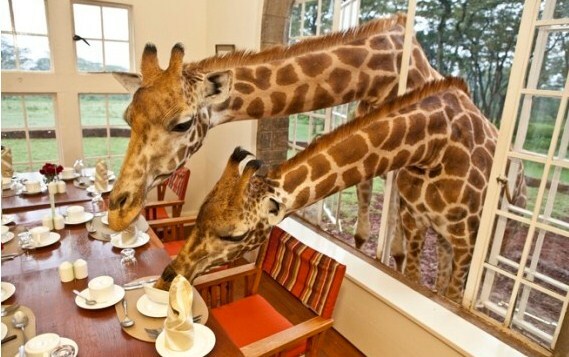 One can even feed the giraffe from their second-floor room window. A stay at this wonderfully animal-friendly lodge can also be combined with a jungle safari. 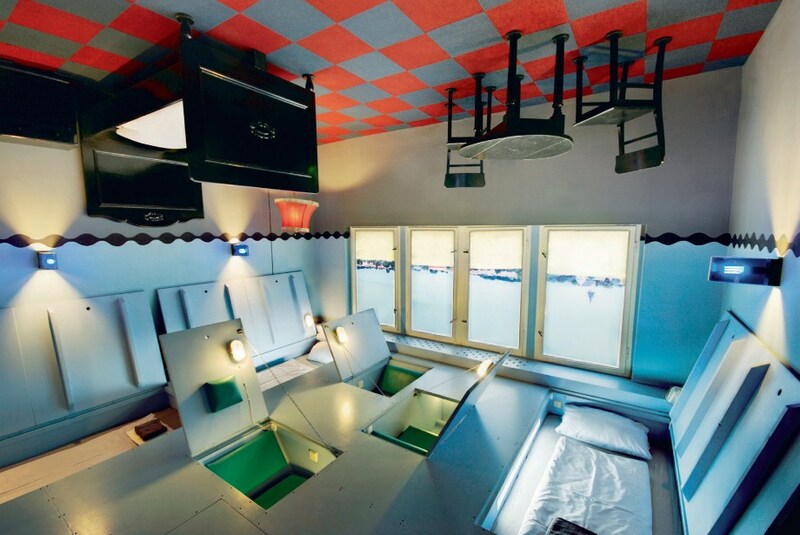 Ever fancied staying in a UFO? Well, at this chic Sweden hotel, you can! 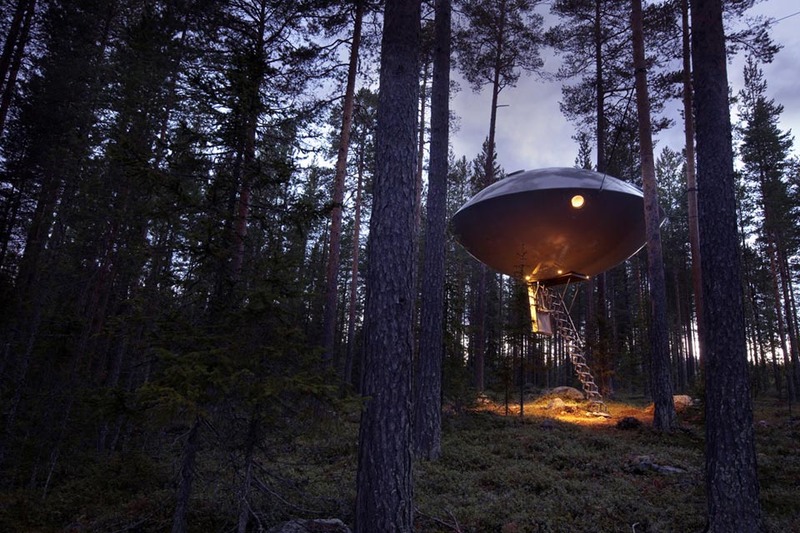 The hotel has six tree-rooms, each created with cutting-edge design to resemble different objects, from a mirror cube (that reflects its surrounding forest) to a UFO and a bird’s nest. 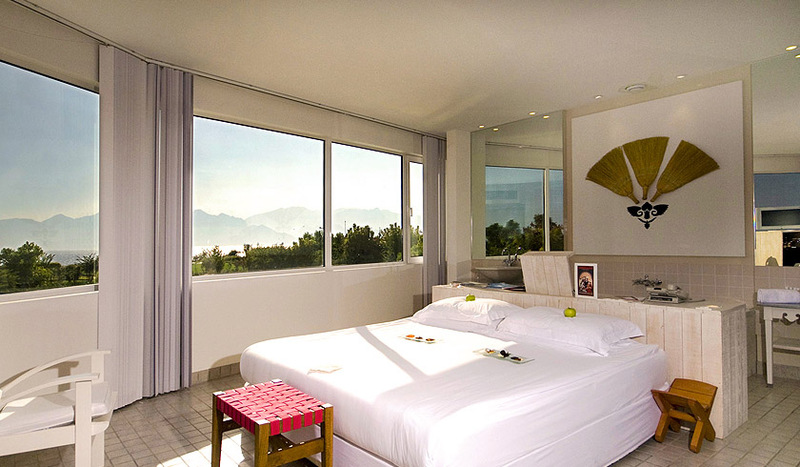 These rooms offer breathtaking views of the Lule River valley, acres of untouched forest and the nearby river. 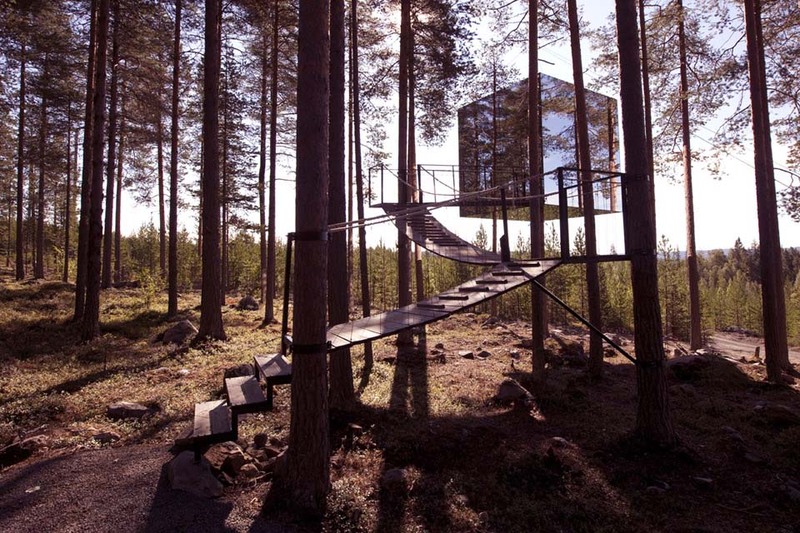 There’s also a tree-top sauna! 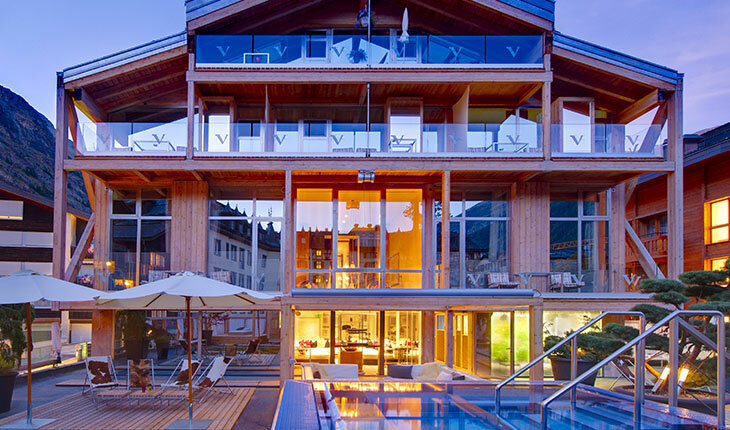 Visit this uber-chic hotel in Zermatt, but not just for its gorgeous views of the Matterhorn. 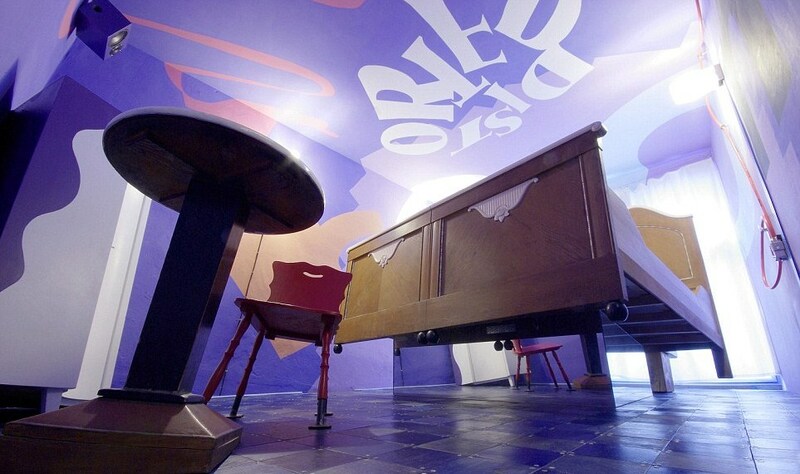 Stay in one of the original Cube-Lofts, which are works of art that you can live in. Every piece of furniture was designed and created by the artist Heinz Julen. To give a cube-within-a-cube feel, all the functional parts of the room are placed in a glass cube in the middle of the room. This, unfortunately, includes the shower, wardrobe, stove and ahem, the WC. Don’t say we didn’t warn you. This resort in Turkey is said to be the most expensive and luxurious hotel of Europe and the Mediterranean. 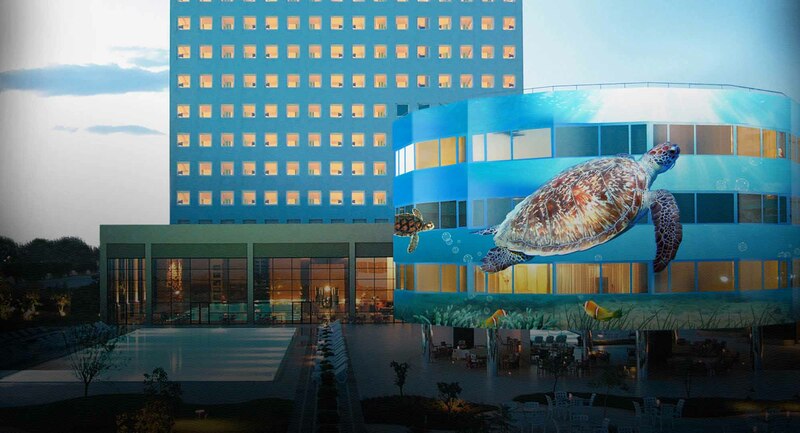 It has the largest swimming pool of the Mediterranean in the centre of which sits a giant sunken aquarium. The pool is surrounded by a water street on which glides the Sultan’s gondola. 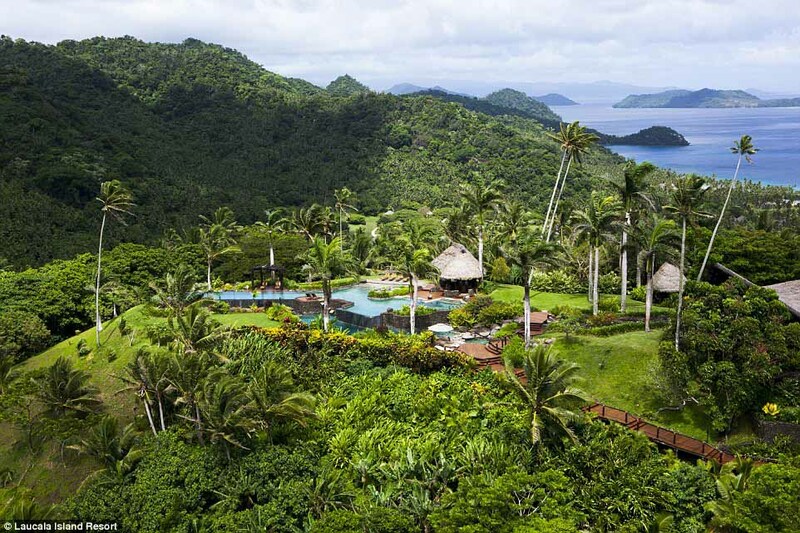 This is one of the world’s most luxurious private resorts located on an island which is essentially 12 km of unspoiled nature. 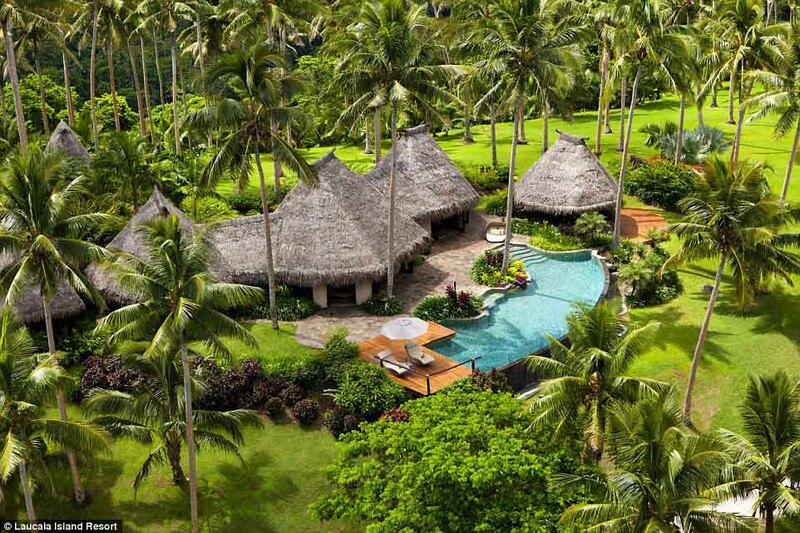 There are about 25 Fijian-style luxury villas, all of which can be rented. The crown jewel of this property is the Hilltop Estate, a resort within a resort, which has panoramic views of the island and the sea. However, being the owner’s private villa, this beauty can only be rented by the uber-rich, after special approval by the owner. While this hotel is much like any other luxury hotel on the inside, what sets it apart is the fact that it is housed in a restored 19th century water tower. Enjoy spectacular panoramic views from their penthouse restaurant. 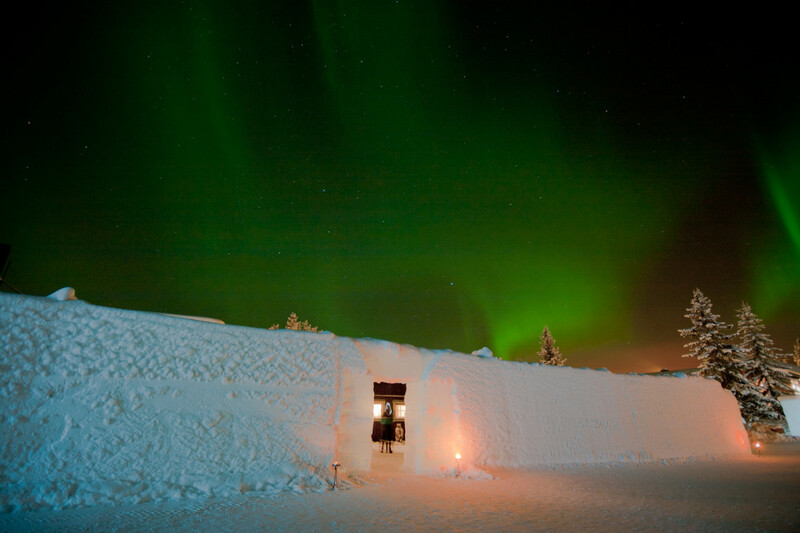 This iconic hotel in a village in Northern Sweden is made entirely of natural ice and snow. It is open from December to March and the design and architecture of the entire hotel and its suites are new every year. Created every year by different artists, it truly is an architectural wonder to behold. It also happens to be one of the best places to view the aurora borealis or Northern Lights. 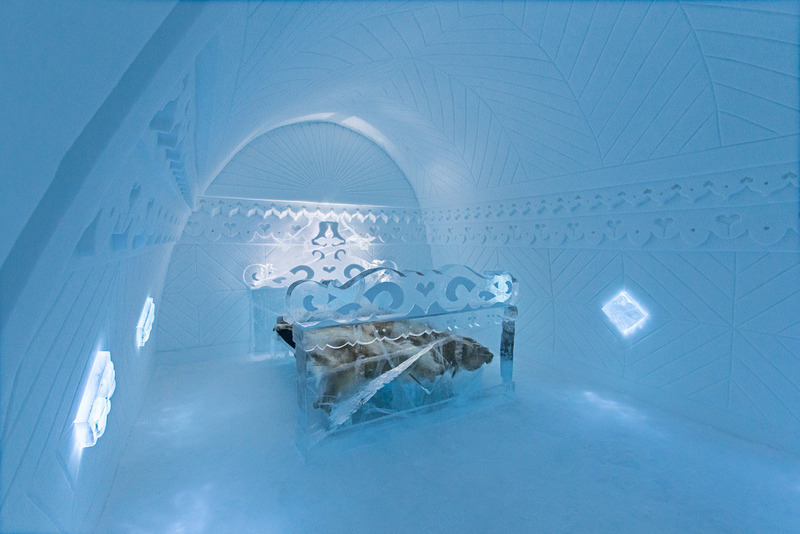 If you’re heading to North America, check out the Hotel de Glace, just outside of Quebec city, Canada. 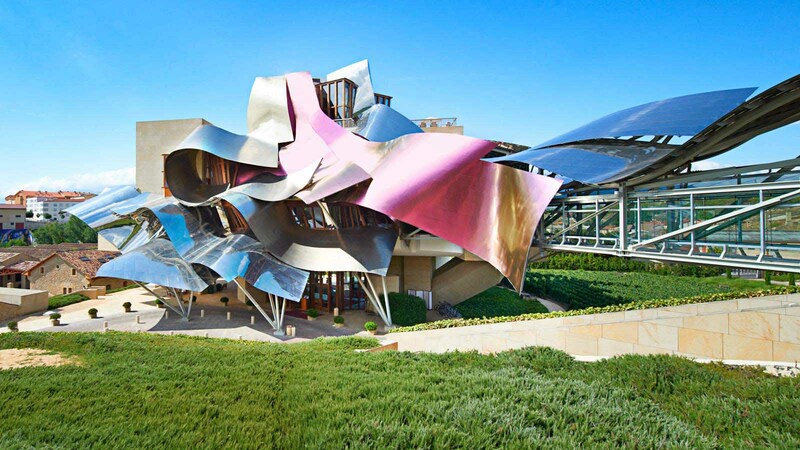 What’s remarkable about this hotel is the building it is housed in, designed by the legendary Frank O. Gehry. This avant garde structure stands in the middle of sublime vineyards. 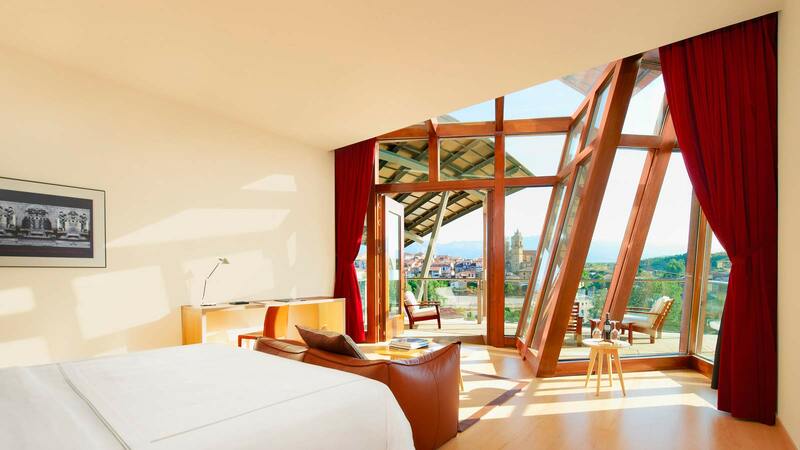 The interiors also have the stamp of Gehry’s design with zigzag windows, tilted walls and high ceilings. Art and architecture lovers are sure to be thrilled. 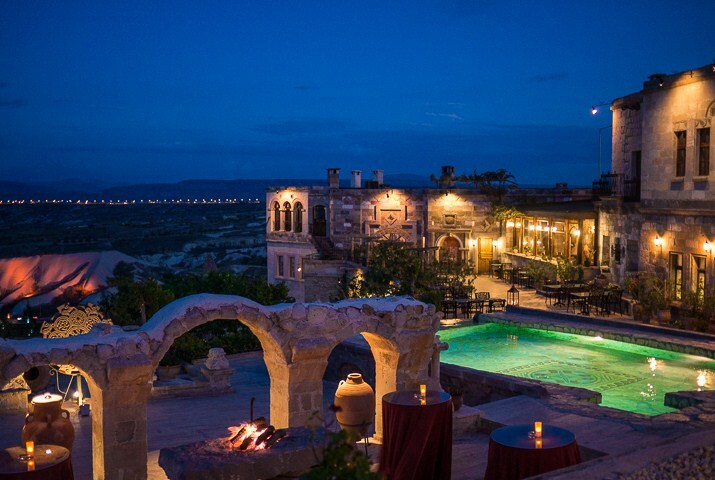 This is one of the finest and most luxurious boutique hotels in the region and what makes it a special experience is that it’s set in the historic caves of Cappadocia. Being an ecologically responsible hotel, each suite and room is unique, having been designed around the cave in which it is set. 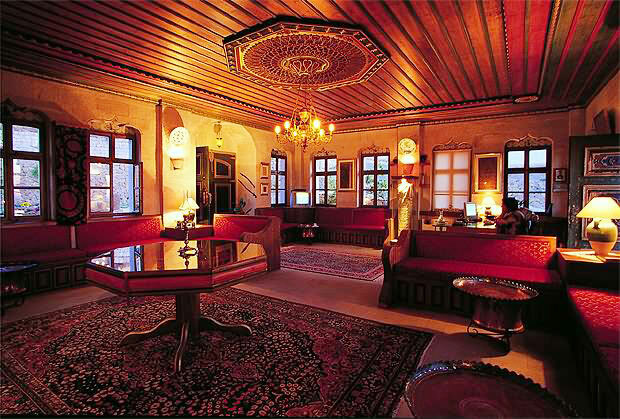 The hotel is also peppered with the owner’s extensive art and artefacts collection, giving you a true feel of the culture of the region. This private wildlife conservancy is any nature or animal lover’s dream come true. The property has two special villas housing its rooms. 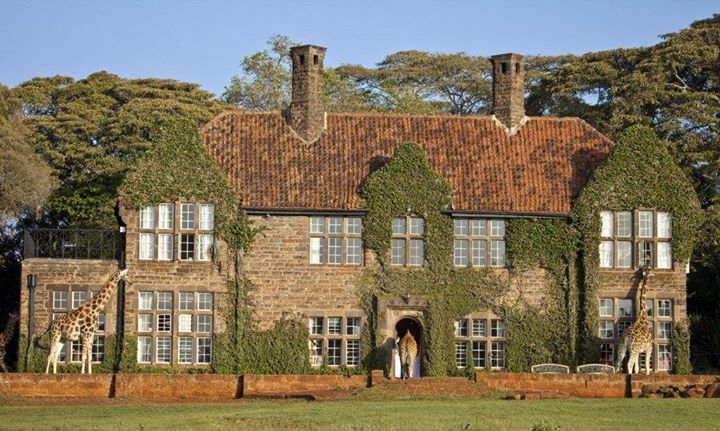 The 1932 Manor House is a classic British country house, while the harder-to-book, 8-storey, British-style Dodo’s Folly has gorgeous interiors to match the lovely views. The area’s perfect micro-climate means that it is home to 350 species of birds and about 1200 animals including zebras, giraffe, hippos and hyenas that reside there and roam freely in its surrounding forest and grounds. 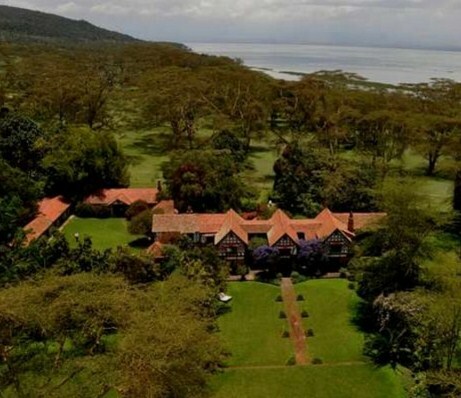 Not to mention, it is one of the most luxurious properties in Kenya, with a roster of famous guests. 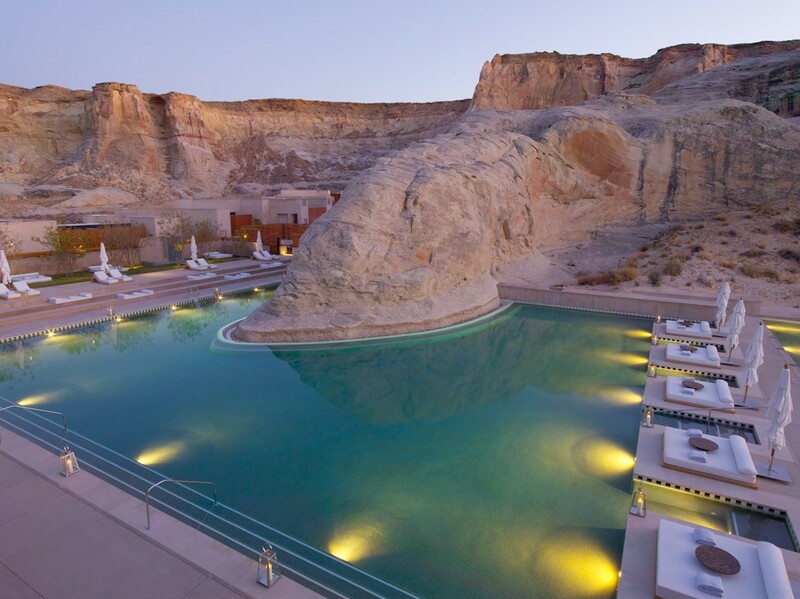 Set amid the stark beauty of the American Southwest, this resort blends into its desert surroundings. This little hideaway is a paradise for adventure lovers and adrenaline junkies alike. It has an exceptional spa and activities like kayaking and horseback riding across the tundra abound. Their 4-bedroom Mesa Home, located amid acres of untouched land takes privacy to a whole new level. 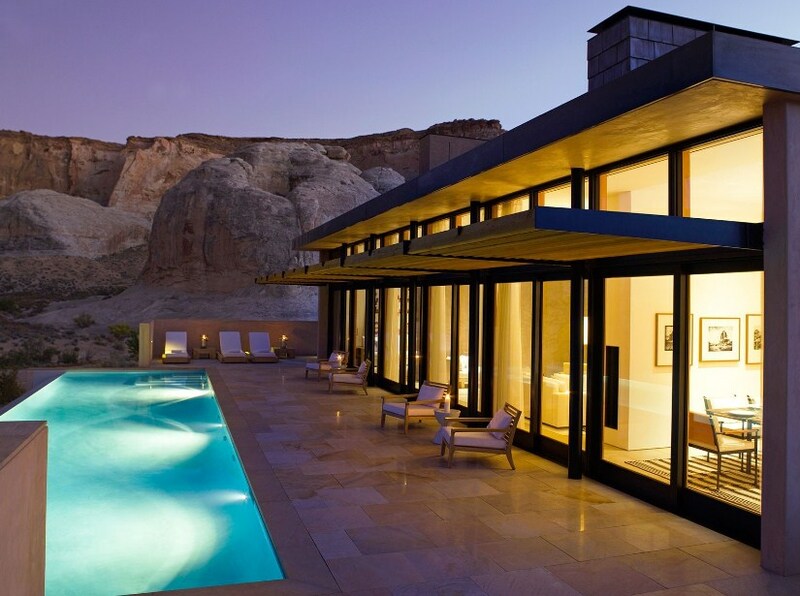 To keep you busy in the lonely desert, is a 50-foot private infinity pool. What if you could sleep under the stars, surrounded by snow and view the Northern Lights from the comfort of your cozy bed? At this Arctic resort, you can do just that! 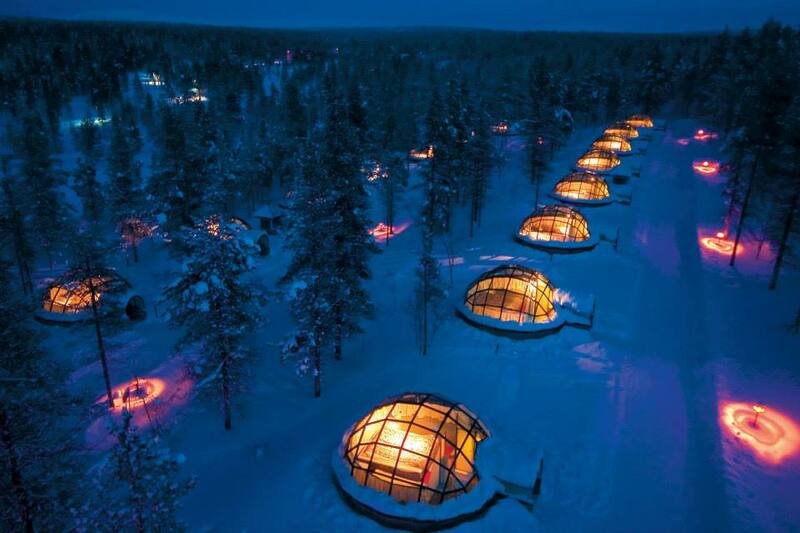 They Kelo-glass igloos, constructed with local wood, that include a private sauna and a bedroom with a glass roof and spectacular views. 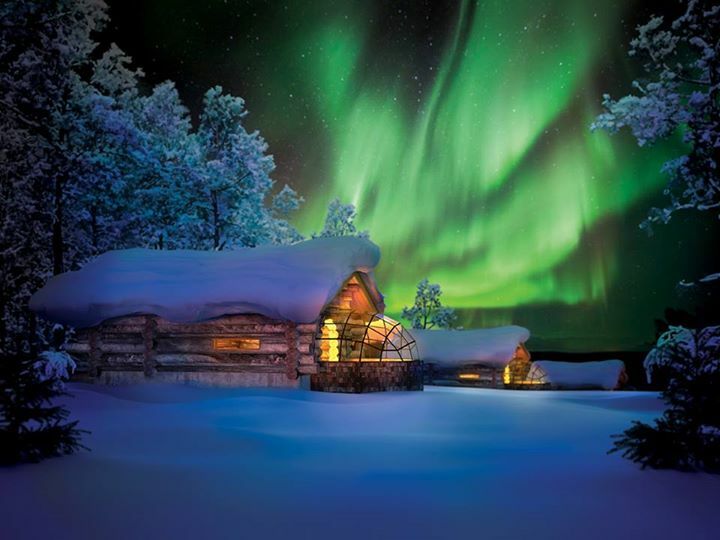 For an even cosier experience or if you’re a smaller party, stay in their glass igloos from which the majestic Northern lights and starry sky are visible. This hotel has the world’s only floating, revolving building. A feat of engineering, this building has been set in a giant tank of water to minimise friction when it rotates. 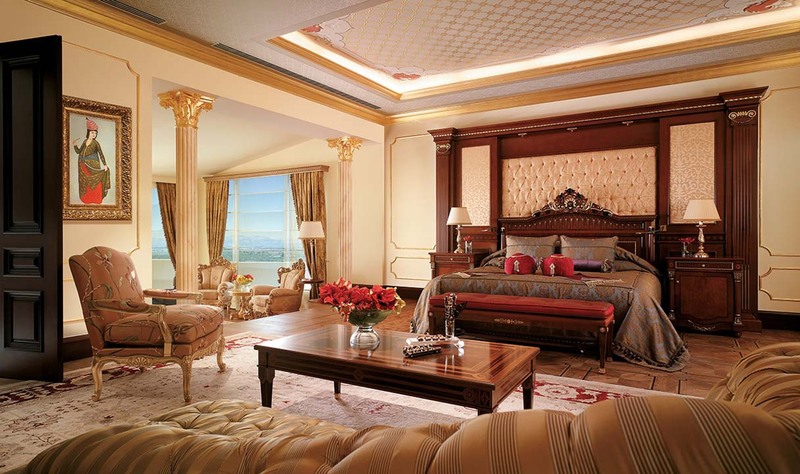 Get a luxury room in the Rotating Loft for 360-degree views of the Mediterranean. You could go to sleep with one view and wake up to another. Head to this tropical island if you want to fulfil your Ariel fantasies. 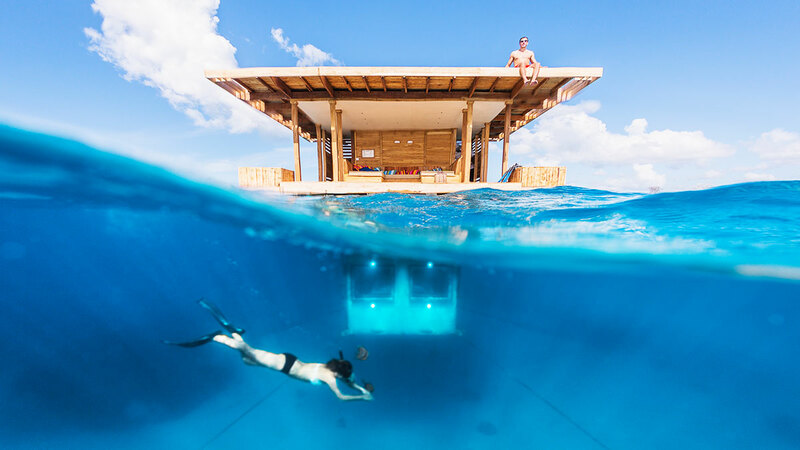 Their Underwater Room is like a private floating island in the middle of the sea, with the bedroom, which has glass walls, submerged four meters under water. You can go to bed surrounded by a thriving coral reef and other tropical marine life. There are also two decks for lazy sunbathing and star-gazing.